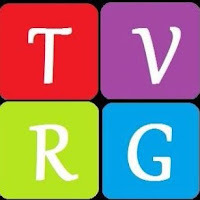 The TV Ratings Guide is joining in on awards season with the 2019 TVRG Awards. It is dedicated solely to television. If you would like to participate in the nomination process, comment below with up to 5 choices in each category. Nominations close at 11:59pm Eastern Time on Friday, January 18. Top nominees will then be compiled into the public voting process. Here are the categories: if you have any other category ideas, feel free to suggest them! To qualify, the show must have aired any time from January 2018 through January 2019.